Every year, mobile technology grows. 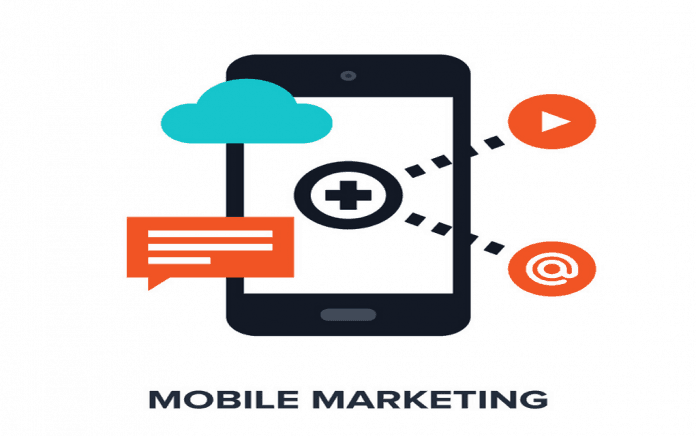 Much of a mobile marketer’s business strategy engages consumers to enhance sales power. Modern decision makers have accommodated for the world’s newest mobile technology, engaging buyers like never before. Approximately 40 percent of shoppers engage at least three mobile channels before completing a transaction, and they’ve become highly reliant on smartphone access for daily activities. Mobile videos are overtaking mundane text campaigns. They’re also becoming preferred to mobile pictures. Online mobile videos, powered by Facebook, Twitter, Vine and similar providers, are taking the marketing world by storm. Facebook’s videos alone receive undivided consumer attention, and the platform engages over 727 million mobile-exclusive users each month. In 2016, mobile video will be big, and the sharing of it will be bigger. Social media, itself, exists as an invaluable mobile marketing tool. Mobile devices and social media can’t be separated, and Internet users allot approximately 51 percent of browsing time to mobile devices. Even more prioritize social media, making such platforms incredibly useful for data gathering. Real-time data is an excellent measurement tool, and it’s capable of powering your SMS campaign with information of the consumer’s daily browsing habits, preferred products and favorite buying locations. SMS-based coupons are redeemed 10 times as often as paper coupons. In 2016, we’ll witness the rise of all-inclusive mobile deals, wherein consumers receive behavior-specific discounts. Mobile coupons are becoming preferred by consumers, too, and over 90 percent of mobile users enrolled to receive mobile coupons, QR codes and loyalty rewards consider such a system to be beneficial. Geo-specific services have powered the modern revolution of personalized offers. Smartphone users love custom offers, and geo-specific deals, services and private releases are boosting brand engagement and retention. Because four out of five smartphone owners rely on their devices to shop, mobile marketers are utilizing new beacon technology to offer hyper-specific location-based offers. Real-time data, now, can pinpoint tiny locations, creating dynamic environments for branded scavenger hunts, QR code retrievals and in-store secret offers. Mobile wallets might still be catching on, but their awareness has risen by 10 percent since 2015. Slow growth doesn’t equate to slow adoption, either. In 2016, brands will be expected to offer flexible pay options, extending to mobile wallets and branded app credit options. By accommodating for mobile pay, your company can ensure total financial cohesion. Additionally, it can utilize mobile pay to engage fundraisers, engage specialty pay programs and even inspire loyalty-based discount offers. Mobile data traffic has grown by nearly 70 percent since 2015. Currently, 55 percent of mobile data traffic is allocated to video viewing. In November of 2015, Facebook recorded eight million videos viewed daily, and more than 75 percent of these videos were engaged via mobile. Social media video sharing is getting big, and your brand can boost sales, increase retention and spark visibility by creating a video-first social media platform. App-centric advertising campaigns are on the rise, too. Google’s recent changes to search algorithms has increased the viability of in-app ads, and mobile marketers are crafting intuitive app-based campaigns to drive traffic. Draft a new ad campaign to include app access, and boost your branded app’s download by prioritizing 2016’s newest app indexing mechanics.